Patočka's writings on the European history of ideas can be said to center around the spiritual dimension of modernity or, as he puts it, around the question of how Christian humanity has made way to "post-Christian." Patočka argues that modern history from the late Middle Ages through the rise of nihilism in the nineteenth century can be seen as the unfolding of two kinds of radicalism: a religious escapism, overdrawing the Christian doctrine of salvation, on the one hand, and an enforced implementation of the objectified and rationalized techno-scientific reductionism, on the other hand. What is lost with these exclusive radicalizations is – according to Patočka – the tension arising from divergent and conflicting world-views. The attempt to finally overcome and "resolve" these tensions discloses "auto-immunizing" tendencies as characteristic of the mutual exclusion of faith and knowledge in modern times, suppressing any view on religion beyond the dichotomy of myth and enlightenment. Hagedorn, L. (2011)., Beyond myth and enlightenment, in E. Abrams & I. Chvatík (eds. 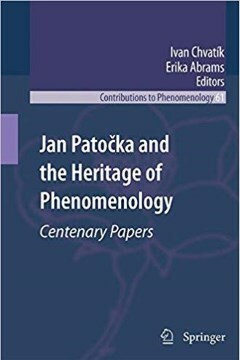 ), Jan Patočka and the heritage of phenomenology, Dordrecht, Springer, pp. 245-261.